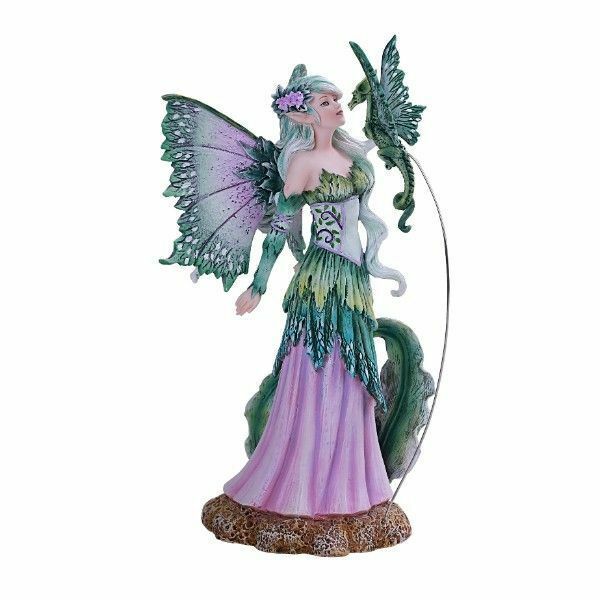 This striking figurine is based upon the artwork of the renown Amy Brown! 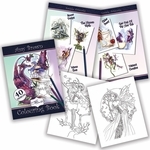 A fae with a green and pink dress converses with a little emerald dragon. She has wings with matching colors, and hair tinged in aqua. 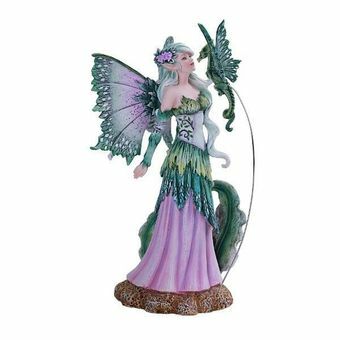 The fairy and her mini wyvern friend make for a perfect fantasy pair, and will bring some magic right into your home!